Campo del cielo meteorite . ca. 1106 grams. Type : Nickle-Iron course octahedrite. Size : 92 x 75 x 50 mm. Weight : about 1106 grams. Location: Campo del Cielo, Gran Chaco Gualamba, Argentina, about 500 miles north-northwest of Buenos Aries. Latitude 27 degrees 39 minutes South, Longitude 61 degrees 44 minutes West. The Campo del Cielo meteorite was first recorded in 1576 the Spanish in Argentina after hearing about it from local natives. The meteorite fragmented in the atmosphere and the fall occured over a wide area, with 12 craters associated with it so far. The largerst fragement yet recovered was about 37 tons, and pieces over 100 pounds are common. It is estimated that the impact occured somewhere between 4 and 6 thousand years ago and some date show there may have been two falls in the region. Once about 5800 years ago, and a second about 3950 years ago. The local Indians of that area have an oral tradition of iron falling from heaven, suggesting their ancestors may have actually witnessed the fall. 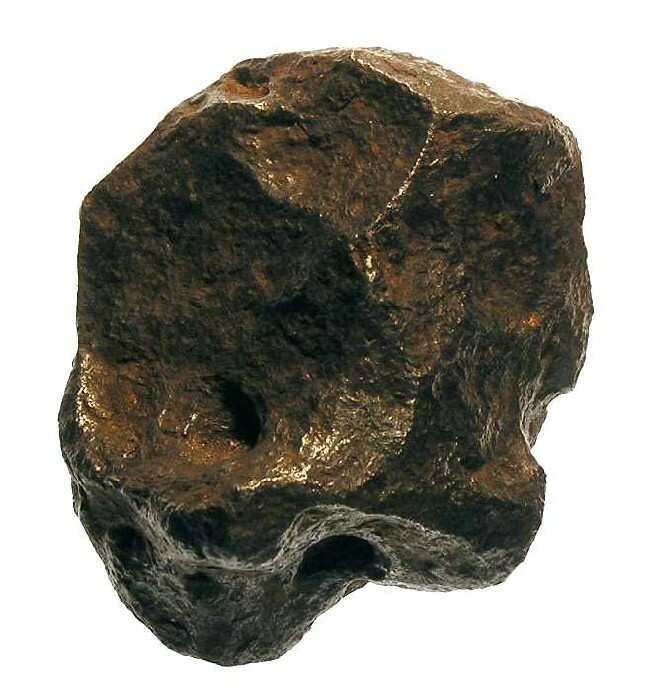 Because of the large numbers of fragments that have been found, this is one of the more inexpensive meteorites on the market today. The only draw back is that in a humid environment it must be kept oiled, as chemicals in it react with the atmosphere and it can deteriorate if not oiled.